The image above is a comparison of the apparent size of last month’s Paschal Full Moon and tonight’s perigee moon or Super Full Moon. Both were taken using the same method and same equipment. Perigee is the point in moon’s elliptical path around the earth at which it is closest to the center of the earth. Although decent focus was very hard to achieve due to passing clouds (hence my supermoon image appeared blurred), it is still noticeable that there was not much significant difference between the size of the two full moons eventhough the supermoon is the biggest and brightest of all the full moons this year. In fact, looking at the moon in the sky without anything to compare it to, you wouldn’t notice find any specific difference in its shape, size, color or brightness. 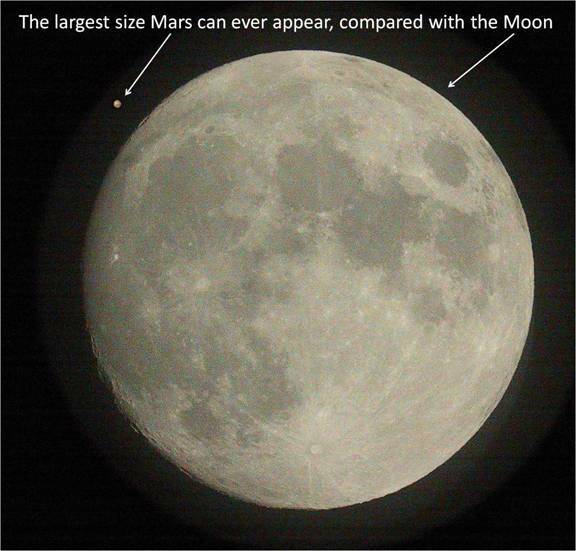 But the difference in size can be quite significant if you were to photograph a full moon at apogee (farthest) and perigee (closest) using the same lens. It’s 33 vs. 29 arc min for average perigee vs. apogee, meaning the apogee moon is about 15% larger in diameter or 35% larger in area. 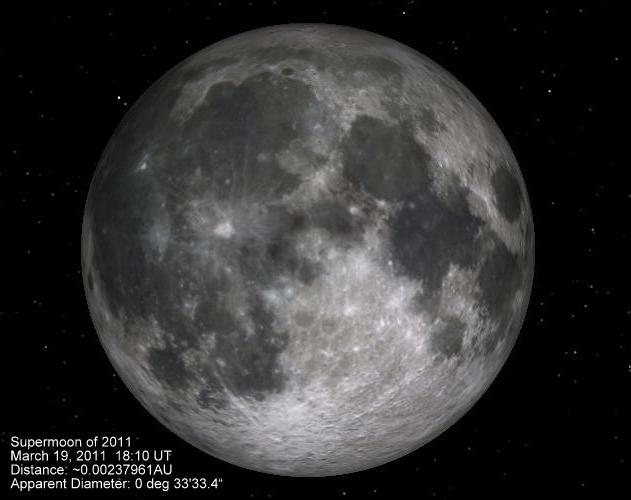 The apogee moon this year will occur on November 28 at 406349 km. By the way, for those who were asking, nothing special will ever happen at the particular moment when the ordinary “full moon” will become a “Super moon” at a given “point of time”. Only the media people were exaggerating the news about this event. 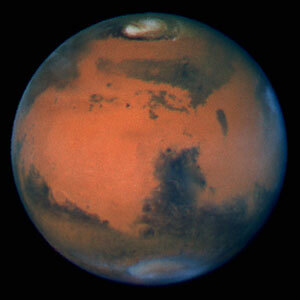 For astronomers, it’s just a common phenomenon taking place at regular period. Ophiuchus — A New Zodiac Sign??? Well, think again because you might be surprised to learn that you are no longer a Gemini, an Aquarian or whatever you call yourself as an individual who is under one particular sign of the zodiac based on Astrology. Please don’t get me wrong. I haven’t convinced myself to shift my interest in astronomy into studying and forecasting the future of people according to stellar and planetary movements. I was just overwhelmed to see how this news about the “new zodiac sign” – which was supposedly not news anymore especially to astronomy buffs – spread like wildfire all over local television and the Internet. Below are some of the links I found which contained the topic. CBS News: Zodiac: What’s Your New Sign? There are a lot more of these that you could find online. 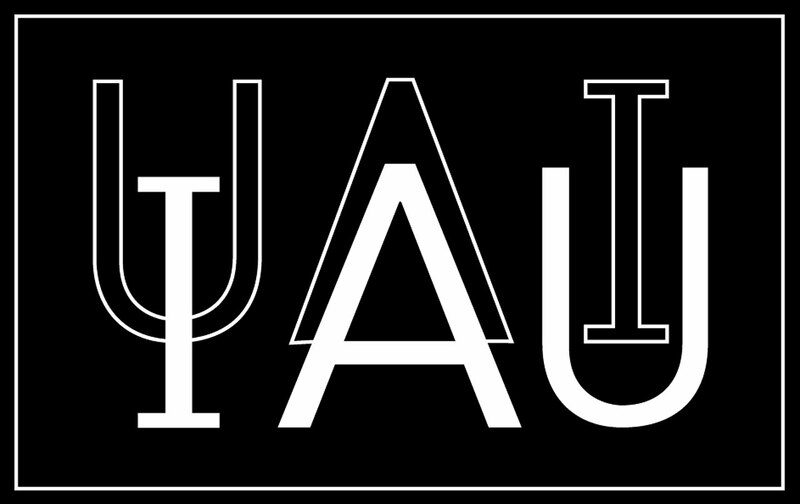 According to these news, a certain Parke Kunkle of the Minnesota Planetarium Society said that because of the moon’s gravitational pull on Earth, the alignment of the stars was pushed by about a month which prompted new consideration of a new sign — Ophiuchus — into standard zodiacs. Read more about precession and its effects here. If you’re gonna ask me whether this is true or not, I would definitely say yes, it is true. But here’s the catch: this truth has been established a long time ago and in fact, there’s really nothing new about it. 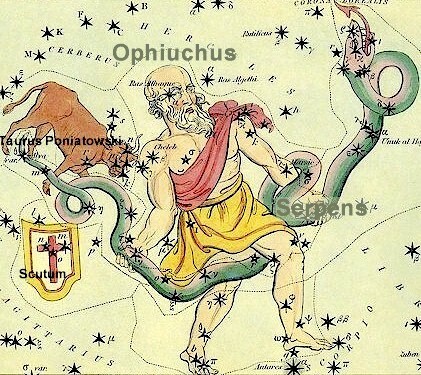 Ophiuchus was recognised as a part of the zodiac by the International Astronomical Union in 1930, during the time when IAU set the official constellation boundaries. Each constellation was published as a set of specifications that reads like a surveyor’s plot of irregular parcels of land. The redrawing of the boundaries is what caused this addition of a constellation to the Zodiac. However, the fact is that Ophiuchus was recognized as a zodiacal constellation at least 1700 years before the IAU even came into existence. Even Ptolemy’s “Almagest”, written in the 2nd century A.D., recognised Ophiuchus as a part of the zodiac. The Zodiac, the constellations that lie on the plane of the ecliptic through which the Sun passes in the course of a year, now has 13 constellations* – not 12 – including Ophiuchus or “the Serpent Bearer”. The Sun is in front of its stars during the first half of December and as it turns out, most Sagittarians are really Ophiuchans. *Note: The signs are named after twelve of the constellations that coincide with the ecliptic, though they no longer correspond well to them due to precession. The zodiac is a celestial coordinate system, or more specifically an ecliptic coordinate system, taking the ecliptic as the origin of latitude, and the position of the sun at vernal equinox as the origin of longitude. Below is a list of constellations and the dates the Sun now appears in front of those stars in the 21st century. So why do we have a new astrological sign, Ophiuchus? It turns out that the answer is far less scientific. Back in ancient times, when the dates of the astrological signs were solidified, astrologers divided the sun’s path through the stars into twelve equally-spaced segments. Each of the twelve segments was assigned to a different constellation. But the fact of the matter is that these constellations are not equally sized. In fact, the “size” of a constellation isn’t even very well defined, since what is a constellation but a set of stars that’s supposed to look like something (but usually doesn’t really). As I what I have written above, It was only then in 1930 that these constellation boundaries were made specific. Going back to those articles, I found out that Parke Kunkle is indeed a professional astronomer, a Minneapolis professor and MnPS board member. He was first interviewed by the Star Tribune regarding this topic on the additional zodiacal constellation. Here is the link to the original article. However, contrary to what it appears like, this guy is a no fanatic of Astrology. From this I could say that this particular issue must have been another product of biased reporting and sensationalism caused and spread by improper media coverage. Complex subjects and affairs like this one, are often subject to sensationalism. Anyway, If you happen to be a proud Ophiuchan, your constellation has several astronomical splendor that actually exist in the sky. First of all it contains seven Messier globular clusters- M9, M10, M12, M14, M19, M62 and M107- making Ophiuchus pretty much a good spot for globular clusters. Also, NGC 6240, the strange remnant of a merger between two smaller galaxies, resulting in a single larger galaxy, with two distinct nuclei and a highly disturbed structure. The high proper motion star and one of the closest stars to the Sun, Barnard’s Star can be found in Ophiuchus, as well as RS Ophiuchi, a recurrent nova thought to be teetering on the brink of becoming a Type 1A supernova. Are you tired of figuring out what’s real or not? Are you fed up with scientific hoaxes on Hollywood’s visions of warp speed and faster-than-light travel? Then,this is your chance to know what’s real and what’s not. 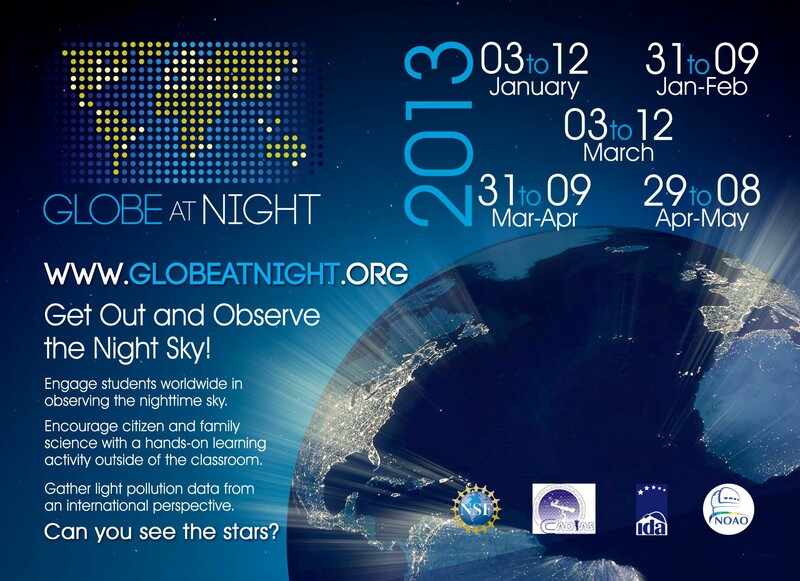 36 Hours of Darkness on October 17, 2010: A New Hoax? Just recently, a friend shared an article from Manila Bulletin’s website titled “36 hours of darkness in US likely on October 17”. I read it and had an impression that this could be another nonsense rumor like the Mars Hoax , based on my own knowledge of these things. 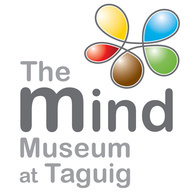 However, the writer claimed that the Philippine Atmospheric, Geophysical, and Astronomical Services Administration (PAGASA) said that this event “may partially hold true“. Online and text rumors claiming that the sun will rise continuously for 36 hours on October 17, 2010 in some parts of the world and leave the United States in darkness for 36 hours may partially hold true, an official of the Philippine Atmospheric, Geophysical, and Astronomical Services Administration (Pagasa) said on Wednesday. Will the sun rise for 36 hours on October 17, 2008? The big day!! Coming October 17, 2008 the sun will rise continuously? Is coming October 17 the sun will rise continuously for 36 hours? Wow..Wow..17 Oct’ 2008 the Sun will rise continuously for 36 hours..IS THAT TRUE???? Most of the websites above clearly said that this “hoax” originated in India and circulated in emails and text messages since 2008. To further confirm the information contained in the article, I decided to visit the PAGASA Astronomical Observatory in U.P. Diliman to look for Engr. 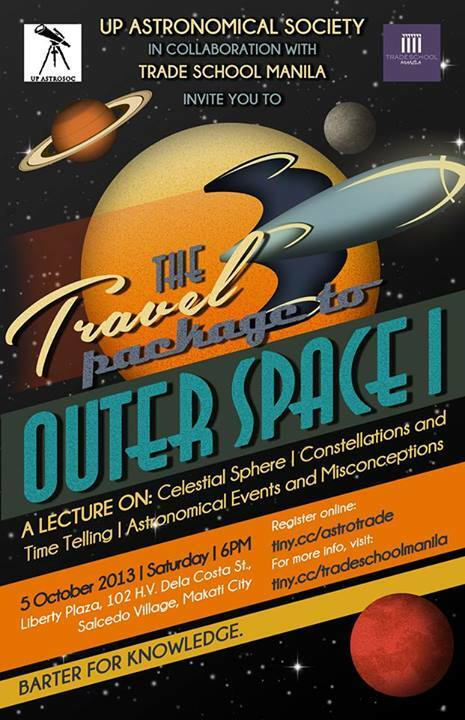 Dario dela Cruz, officer-in-charge of the PAGASA space sciences and astronomy section. Unfortunately, he was not there during that time so I just talked to Sir Mario, the head of the Observatory about the article. I showed Sir Mario a copy which I printed from the Internet and he told me that it was the first time he had seen the news report. (1) Engr. dela Cruz’s statement below is true. “After we experience the equinox during September, countries located in the Southern Hemisphere begin to observe longer days, as against those in Northern Hemisphere that observe longer nights, which include the northernmost part of the United States. (3) Currently, the most number of hours in which the sun would not set (also called the Midnight Sun) or rise is only for 24 hours and it happens mostly north of the Arctic Circle and south of the Antarctic Circle, never in any part of America which is located at lower latitudes. (4) This event, the Midnight sun, is a natural phenomenon and it happens every year, not just every 2,400 yrs as was claimed in the article. (5) There is still no scientific evidence based on data and computations that the 36 hours of darkness is likely to occur. The basis for the expected date October 17, 2010 wherein it was said to happen was still unknown to them. So based on Sir Mario’s explanations, the claim in the article about having “36 hours of Darkness” is more likely just a misinterpretation or simply a HOAX. 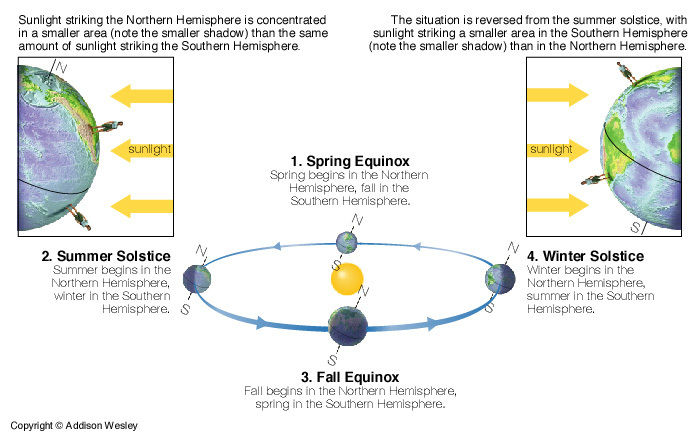 Equinox – occurs twice a year, when the tilt of the Earth’s axis is inclined neither away from nor towards the Sun. The term equinox can also be used in a broader sense, meaning the date when such a passage happens. 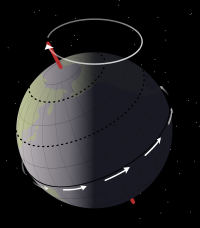 The name “equinox” is derived from the Latin aequus (equal) and nox (night), because around the equinox, the night and day are approximately equally long. This year, equinox falls on March 20 and September 23. Solstice – either of two times of the year when the sun is at its greatest distance from the celestial equator. The summer solstice in the Northern Hemisphere occurs about June 21, when the sun is in the zenith at the tropic of Cancer; the winter solstice occurs about December 21, when the sun is over the tropic of Capricorn. The summer solstice is the longest day of the year and the winter solstice is the shortest. Wow..Wow..17 Oct’ 2008 the Sun will rise continuously for 36 hours..IS THAT TRUE???.. ?